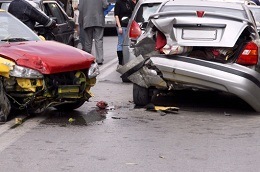 Car accidents may cause devastating injuries that affect the rest of a victim’s life. They are almost always the preventable result of a driver’s carelessness behind the wheel. If you or someone close to you has been hurt in a car accident caused by another driver, our two AV-rated personal injury attorneys can vigorously advocate for your rights. We understand the severe physical, emotional, and financial burdens that may be imposed on a victim and their family after a crash. At Kurasch & Klein, our Chicago car accident attorneys can assist you with personal attention and compassion throughout this process. According to the National Highway Traffic and Safety Administration (NHTSA), nearly 1,000 lives have been lost on the road in Illinois in each of the last several years. Alcohol is a common factor in crashes, as are speeding, distracted driving, tailgating, and failing to follow traffic laws such as rules regarding the right of way. When a driver’s carelessness leads to an accident and injuries, that driver generally may be held accountable through a negligence claim. Negligence may be described as a failure to exercise reasonable care behind the wheel, resulting in foreseeable harm to someone else. For instance, if a driver runs a red light and causes an accident, they would likely be liable for any resulting injuries and property damage. This is because a reasonable person would obey traffic signals, and it is foreseeable that a crash may occur if a driver does not obey them. To prevail in a negligence claim, the plaintiff must show not only that the defendant breached the applicable duty of care but also that the accident was a direct result of the defendant’s carelessness. Quantifiable damages must have resulted, which may include both economic and non-economic items. In many situations, a plaintiff may recover compensation for medical bills, rehabilitation costs, lost income and benefits, pain and suffering, lost enjoyment of life, and property damage, among other costs and losses. A family who has tragically lost a loved one in a car accident may be able to seek wrongful death damages from the at-fault party. These damages may provide compensation for funeral and burial costs, medical expenses for treatment received prior to the victim’s death, loss of companionship, loss of consortium, and more. Wrongful death claims, like other personal injury claims, must be brought within a certain time period, known as the statute of limitations. Thus, it is important to start exploring your legal options as soon as possible. After you have been hurt in a car accident, you may have many concerns and questions as you cope with your injuries. Our Chicago car accident lawyers have the skill, dedication, and experience to handle your claim. Attorney Kurasch and Attorney Klein are both recognized by Martindale-Hubbell as among the top seven percent of all lawyers in the U.S. for legal ability and integrity. We represent victims in many Illinois communities, including Naperville, Wheaton, Schaumburg, and other areas of Cook County. You can contact us online or call us at 312-372-7250 to set up a free consultation with a car or truck accident attorney. We also provide services in Polish and Spanish for your convenience.